Gurudas Kamat has a penchant for making a point but he never says it out loud. The veteran Congressman's decision to resign from the party as well as from politics has a serious message for the party, but he has only hinted at it, not spelt it out. In an SMS he is said to have sent to party workers, the former Union minister has indicated that he resigned after waiting for days for a response from the party's top leaders. "I met the honourable Congress president about 10 days ago and expressed a desire to resign. Subsequently, I sent letters to both Soniaji and Rahulji that I would like to exit...Since there was no reply I have formally informed that I would like to retire from politics," went his message. In his typical sugar-coated style, he also wished "the best to the party leadership" and all party-workers. Earlier this year, when Congress Vice-president Rahul Gandhi visited Mumbai, Kamat did not attend his engagements on the pretext of ill-health. He was said to be sulking over having been overlooked for the position of party's chief in Mumbai, but he said he had sent 45,000 SMSes to party-workers to make the programmes successful. Similarly, in 2011, when Kamat was denied a senior cabinet berth in the UPA 2 government, he did not protest openly but quietly resigned. The key difference between Kamat's resignation and earlier episodes of sulking is that this time he has ended his 44-year association with the grand old party. As a member of Lok Sabha for five terms, Kamat is an on-ground man and has been instrumental in helping the party build and maintain its support base in Mumbai and in some other parts of Maharashtra. He had risen to the position of General Secretary in 2013 and was made in-charge of Gujarat and Rajasthan, apart from Dadra and Nagar Haveli, Daman and Diu. He was also a member of the party's highest decision-making body, the Congress Working Committee (CWC). That somebody of his stature could not get a hearing from Rahul and party chief Sonia Gandhi is a testimony to the supremacy of the high-command and powerlessness of mere members of the CWC. Incidentally, former Chhattisgarh chief minister Ajit Jogi, who indicated his imminent exit from the party by announcing the formation of a new party, was a permanent invitee to the CWC. Senior Congressman severing their ties with the party at a time when the latter is at one of its lowest points in history - is serious crisis. It is not known how Sonia and Rahul are looking at it, but there are indications that they are not too perturbed. One theory doing the rounds is that because the party is in a flux as it prepares for a leadership change, these kind of exits will happen. Kamat and Jogi are both old-timers and thrived in the party in an era that is now all but coming to an end. 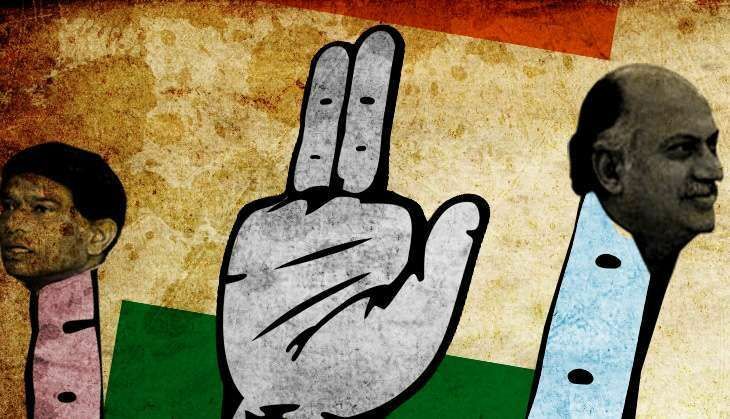 However, the recent dramatic episodes involving dissident Congress MLAs in Arunachal Pradesh, Uttarakahand, Meghalaya and Manipur provide ample evidence to suggest that the party is not being able to handle the said flux very well. Leader of the dissidents in Uttarakhand, Vijay Bahuguna, said on record that Rahul did not give him time for two years. A similar story unfolded with former Congress stalwart in Assam Himanta Biswa Sarma. It was his frustration at not being heard by the high-command that eventually made him resign and join BJP. The strategist is widely believed to be a key factor behind BJP's victory in the recently-concluded assembly polls. Sarma's complaints are not very different from Kamat's "Since there was no reply" remark. Whatever Sonia and Rahul think they are doing to the party, there is something definitely amiss in their strategy. If Rahul has to become the party chief and his favourites have to be installed in commanding positions, why do state governments led by Congress need to fall for that? Why do senior leaders with a solid support base need to resign? These are questions for the party to introspect on because if it doesn't then only one question would remain - is the Congress really interested in thwarting BJP's "Congress-mukt Bharat" campaign?